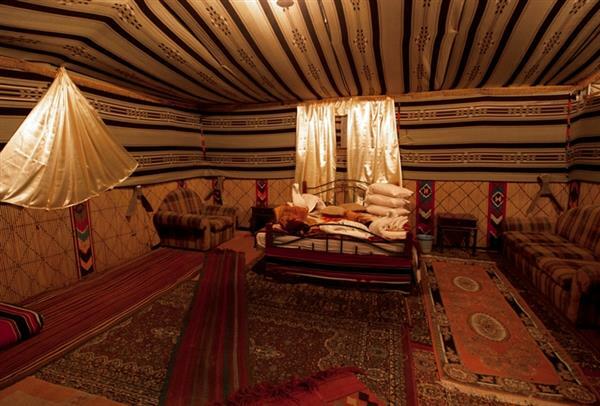 Captains Main Desert Camp offers a variety of tents and services to give you a true experience of WADI RUM. You can choose one of the following services at our camp. Dine at our dinning tent or sleep overnight in the authentic Bedouin tents you can choose to stay at a big Bedouin tent divided to compartments Or at a private tent Or at our new tents with private toilets Or spoil yourself at our Pasha tent. 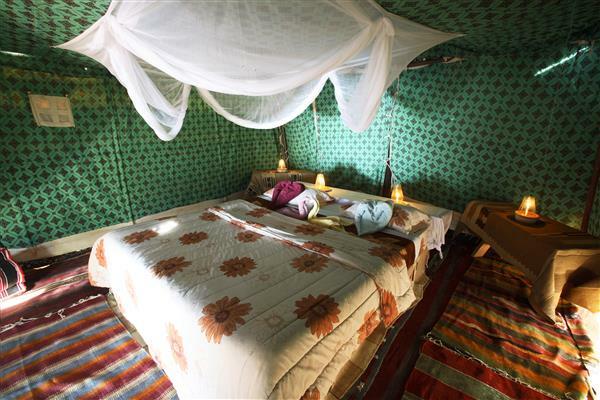 a big Bedouin goat hair tent divided to compartments with a size of 16sq meters provided with beds ,sheets , covers , pillows furnished with carpets and mosquito net. And you can have single , double or twin beds or triple. Guests share the facilities in a separated unit served continuously by housekeeping. Private Bedouin goat hair tent separated from other tents with a size of 16 square meters provided with beds ,sheets , covers , pillows furnished with carpets and mosquito net. And you can have double or twin beds or triple Lightened by solar system. Private Bedouin goat hair tent separated from other tents with a size of 16 square meters provided with beds, sheets, covers, pillows furnished with carpets and mosquito net. 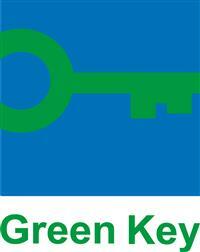 And you can have single , double or twin beds or triple with private bathroom Lightened by solar system. For luxury and great space that’s your choice a Bedouin goat hair tent in a size of 48 square meters with more space as at the front with Bedouin rugs and carpets , king size bed , Bedouin low seated table and full bathroom served with private staff.